We found the products at our local Walmart. They had the entire line. 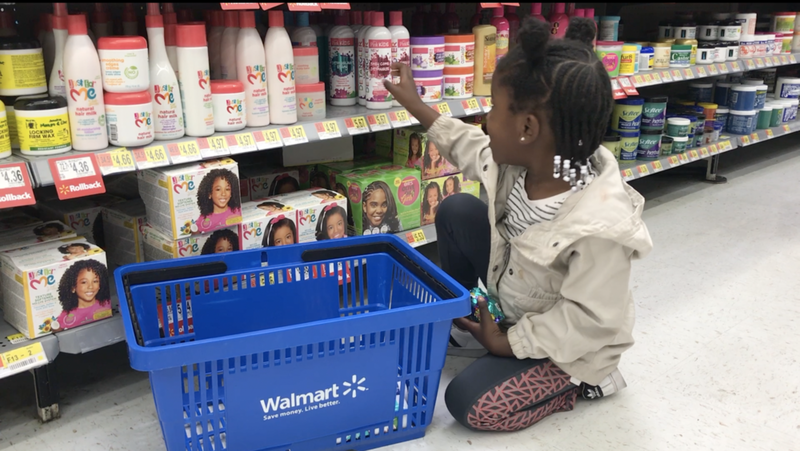 We started off by washing her hair with the Pink Kids Gentle Detangling Shampoo. I love that this shampoo gave her a great cleanse without stripping her hair and making it feel dry. Next, I applied the Kids Awesome Nourishing Conditioner. This conditioner made her hair feel super soft! I styled Aria's hair by first detangling with the Pink Kids Detangling Spray. I absolutely love this detangler. It will definitely become a new staple. It made Aria's thick hair so easy to work with and manageable. I followed up by styling her hair with the Pink Kids Curl Creation Custard. This is the perfect styler for her braids. It made them moisturized and sleek! Aria is super cute with this hairstyle! The products worked great and I can't wait to use again with a new style.